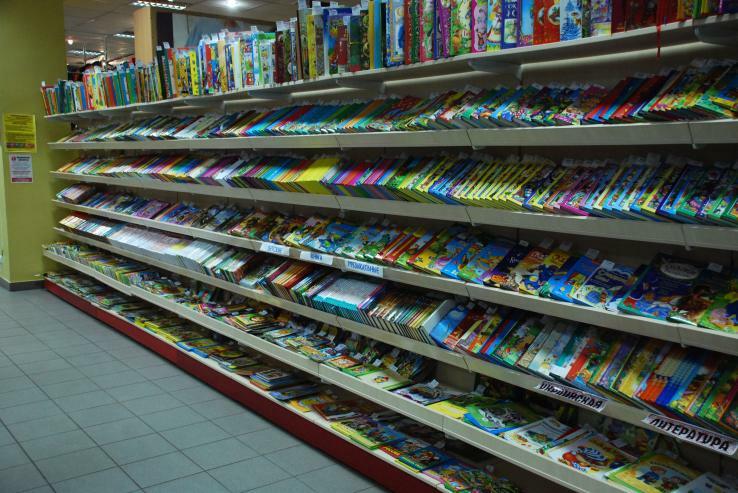 The chain of stores specializes in the sale of stationery, books, toys. RAF and CHERRY systems were chosen for displaying the goods. Main attention was focused on laying out book products, for this purpose, the N-115 pillar brackets were used, which made it possible to make a large slope of the chipboard shelf with the rim.